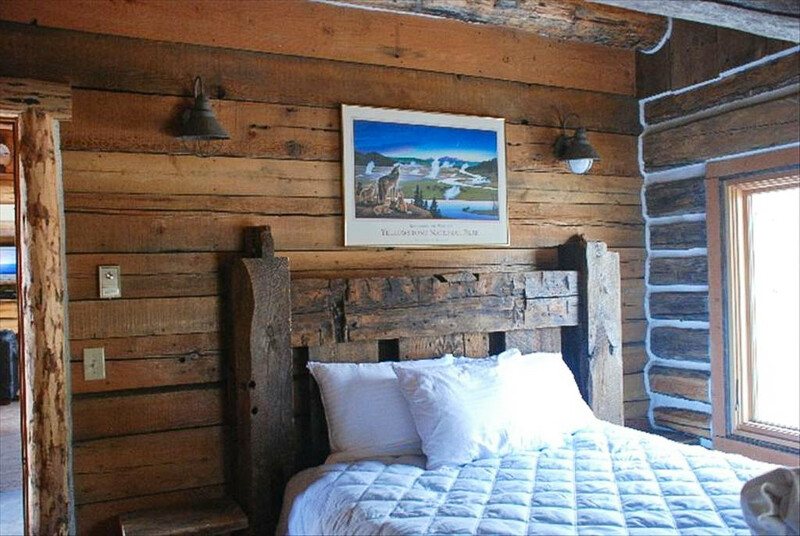 If you’re taking a dream trip to the national park then why not stay in one of the many dreamy Yellowstone cabins available for rent? 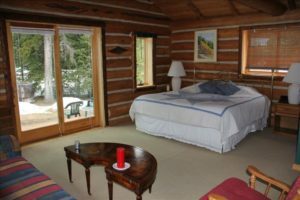 Imagine going on one of the best hikes in Yellowstone, seeing wolves and bears along the way, and coming home to a warm cozy cabin, all to yourself. 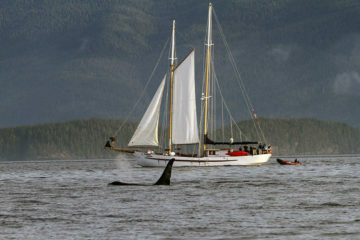 You grab a cup of coffee and step outside to your private deck to watch wildlife strolling right by. 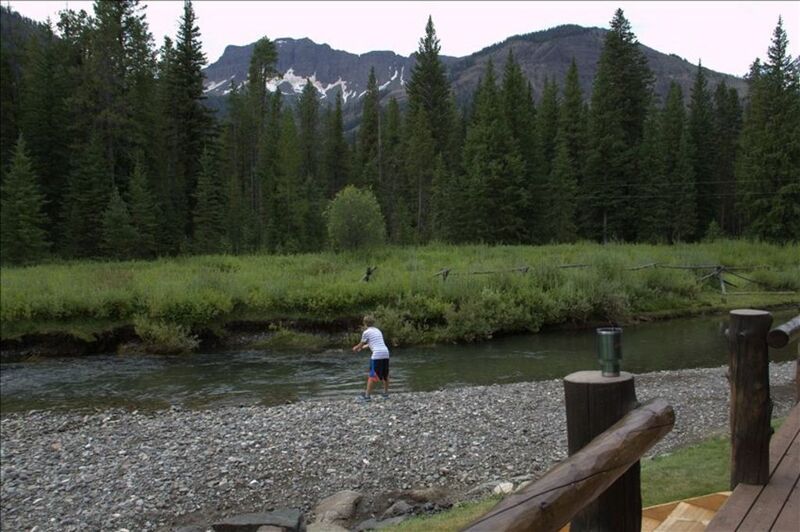 That’s what a Yellowstone adventure should be all about! 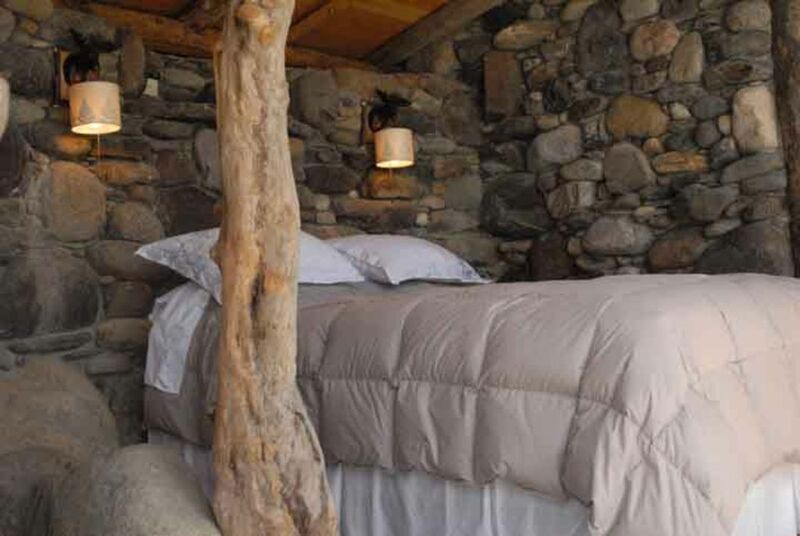 Adventure and cozy time at one of the dreamy Yellowstone cabins! 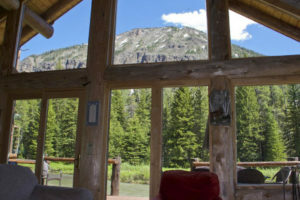 I have a confession to make: I am obsessed with searching for the best cabins near Yellowstone. 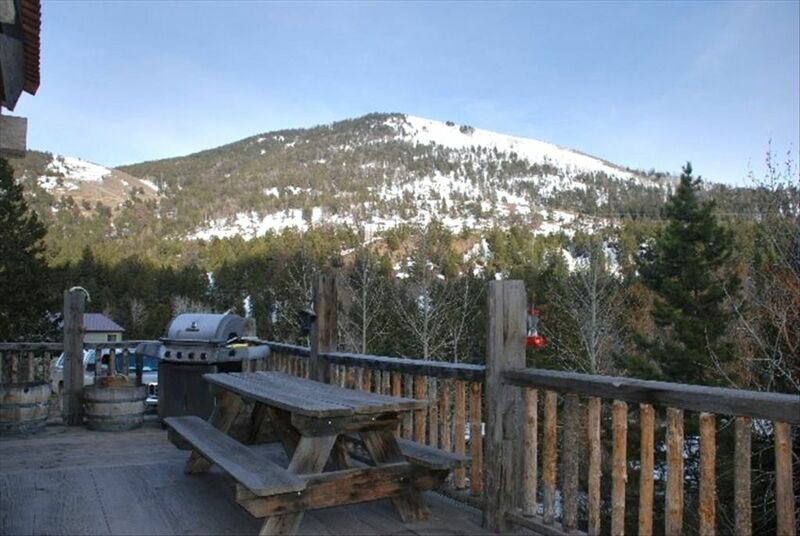 I am always surfing the web looking for Yellowstone cabins for rent or cabins for sale. (One can dream, right?) 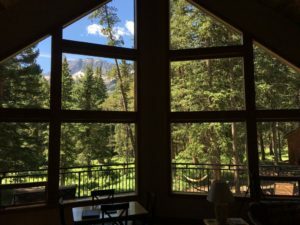 So I decided to make a list of my favorite Yellowstone cabins so you don’t have to go through the many hours of researching that I did! 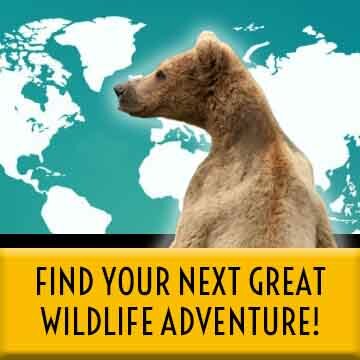 Remember that the best time to visit Yellowstone will vary depending on what activities you are interested in. 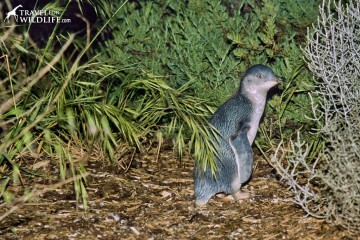 Late spring is baby time, when the park is flowering and wildlife babies abound. Summer is good backpacking time, while Fall is time for beautiful colors and the elk and bison rut. 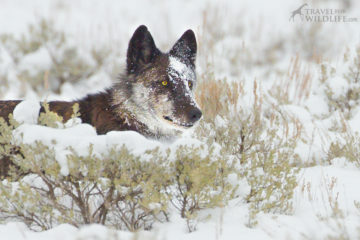 Our favorite time of the year in Yellowstone is winter, when the park is covered in a white blanket, animals are easy to find, and it is the least crowded. 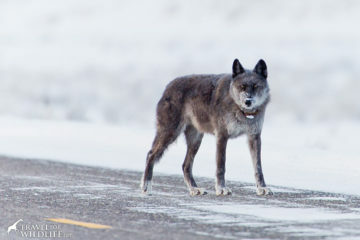 If you are thinking about visiting Yellowstone in the winter, remember it is very cold and make sure you wear the proper winter gear. Here is the final list of Yellowstone cabins available for rent that I found! 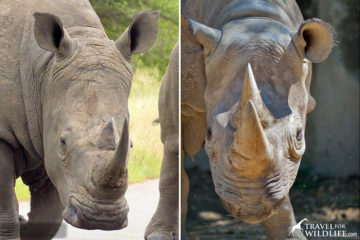 (You can click on the small photos to view a larger size.) 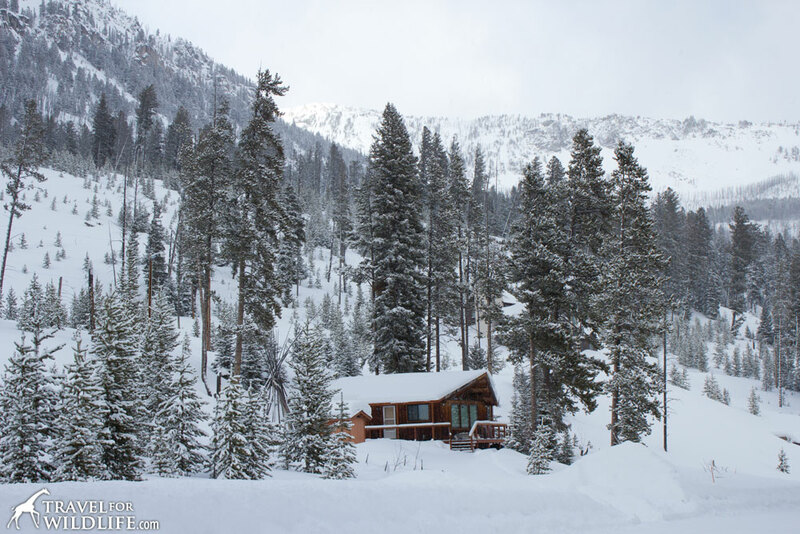 These cabins are in Silver Gate, Cooke City, Gardiner, and West Yellowstone. 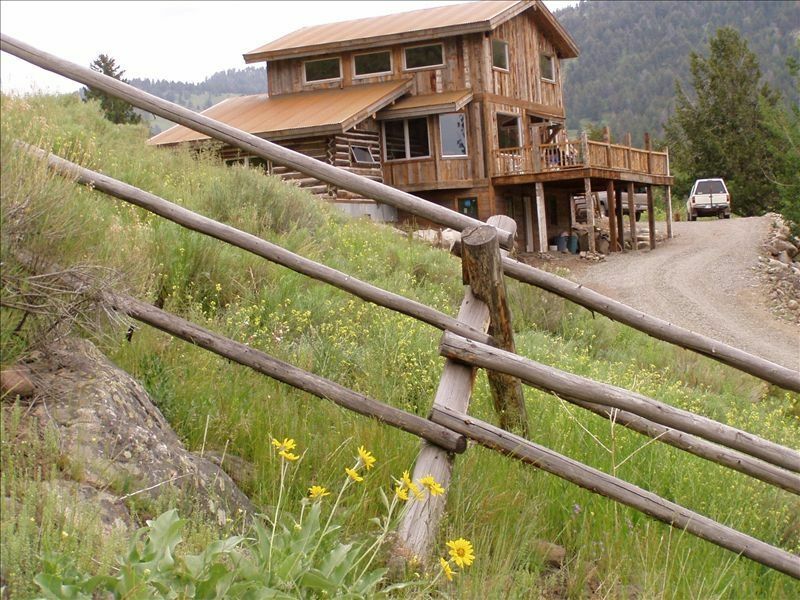 Silver Gate is our favorite place to stay while in Yellowstone. 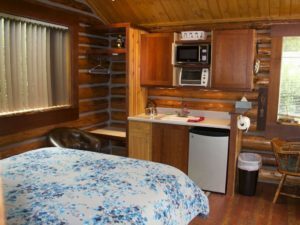 It is only one mile from the northeast entrance to the park, it is super cute (all log cabins), small, and it feels really wild. 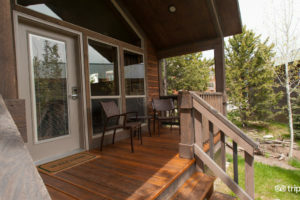 These are also some of the reasons why any of the Silver Gate cabins are some of the best around: most of them have creek views and mountain views, wildlife utilize the Silver Gate corridor so you can watch wildlife right from your deck, and the Silver Gate area is quiet, even in peak season. Plus most of Silver Gate is just a two minute walk to the Log Cabin Cafe, which you cannot miss for a hearty breakfast before venturing in to the park! 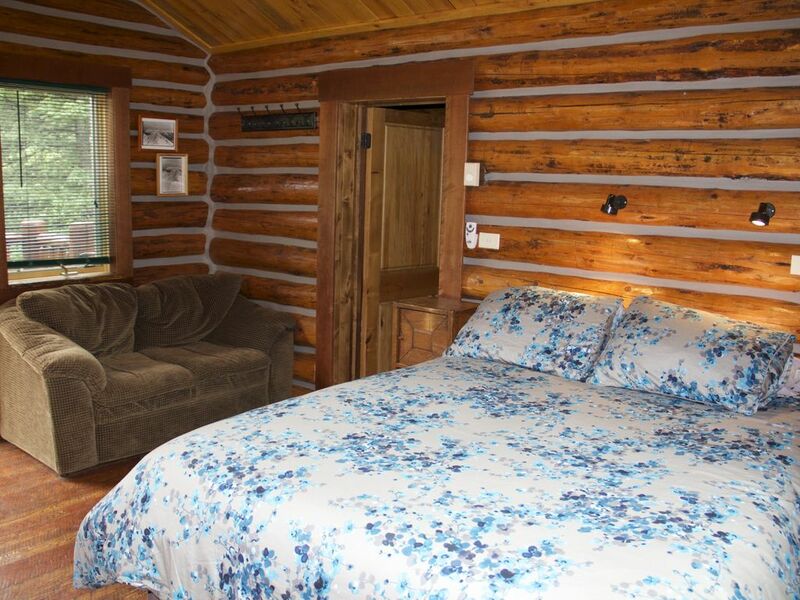 And this is where the best cabins in Yellowstone are located. 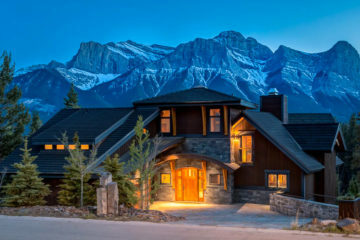 Stunning cabin in a stunning location. This three-bedroom cabin has all you need for your Yellowstone cabin vacation. Great mountain views, private access to a creek, a rock fireplace, a log pool table, and all this in just a two-minute walk to the two shops. 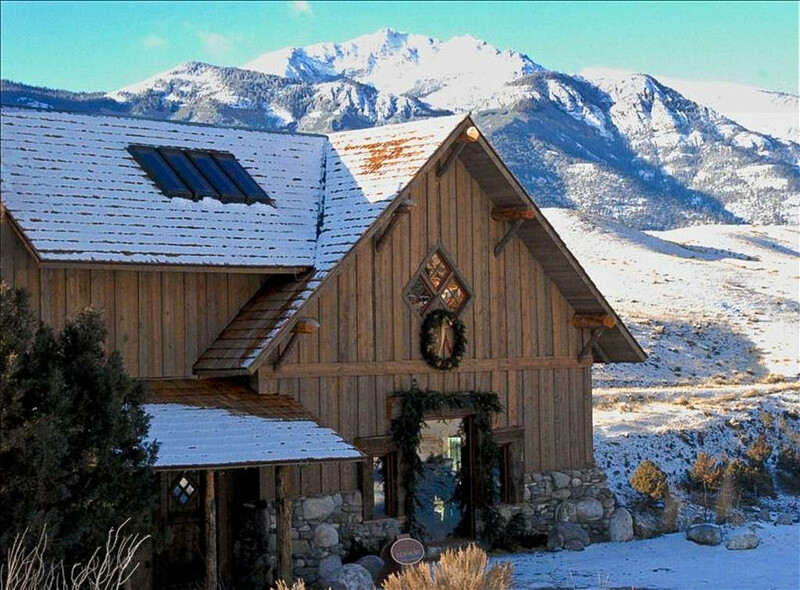 Sadly, this cabin is not available in winter. 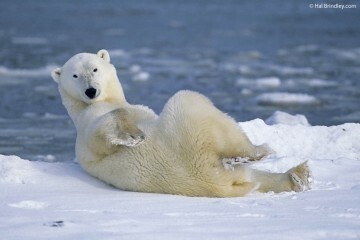 Ursa is a latin word meaning bear. 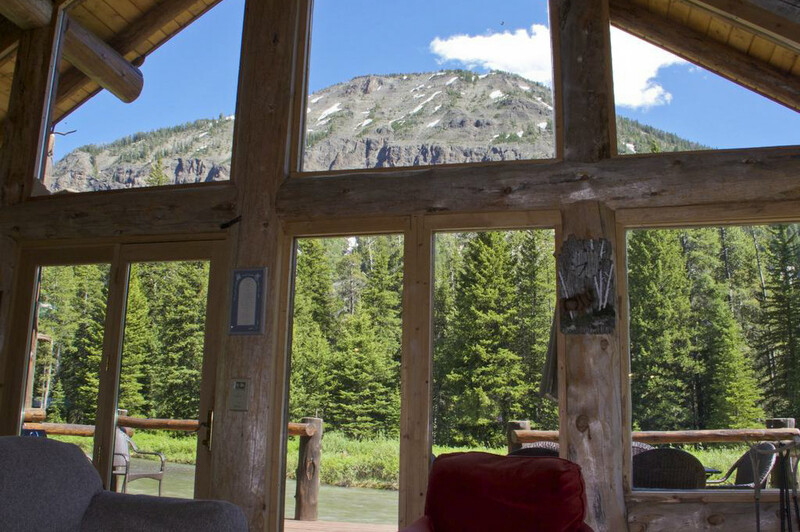 This cabin could be your favorite den in Yellowstone. The owners have four acres of land on which they built two cabins, totally private from each other. Ursa is the small one, with two bedrooms (one in the loft). 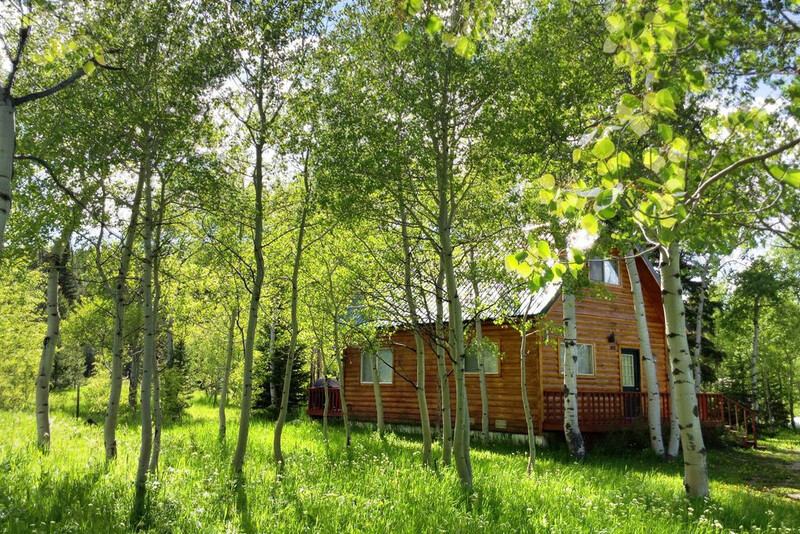 Spend your dreamy vacation surrounded by pine and aspen trees. 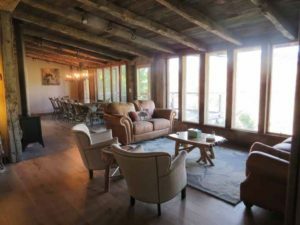 Sit on the porch and watch wildlife walk by while sipping coffee or relax inside while the cozy wood stove keeps you warm. We’ve driven past this cabin a lot and I find myself staring at it every time! 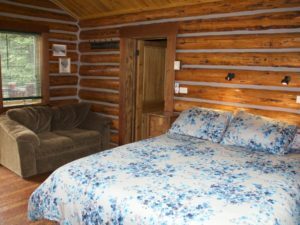 We almost stayed here last time we visited Yellowstone in winter but we had one person too many in our group for this three bedroom cabin. I just wanted to sit by those big windows and watch the snow fall. The interior is just immaculate. Cozy, modern, and functional. 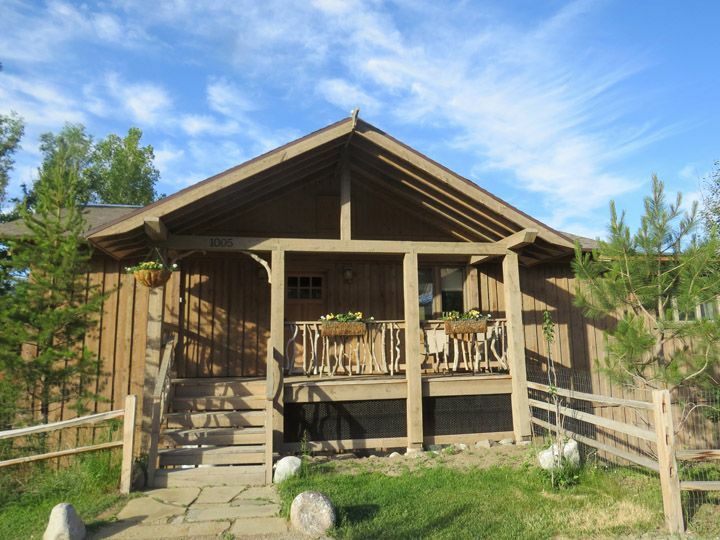 The price is very reasonable for this gem of a cabin! Winter accessible, private, incredible views, plus the lovely owners live next door which is fantastic in case you need anything. 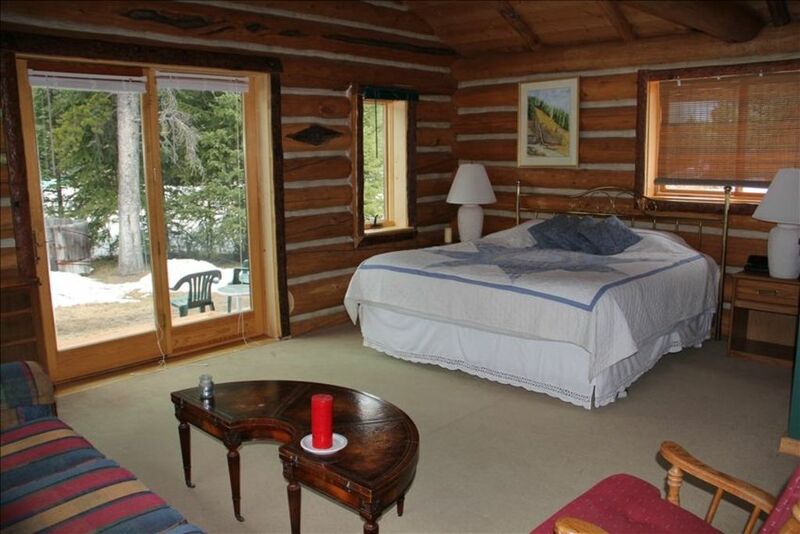 I actually believe this is probably the best value of all the Yellowstone cabins that I found. 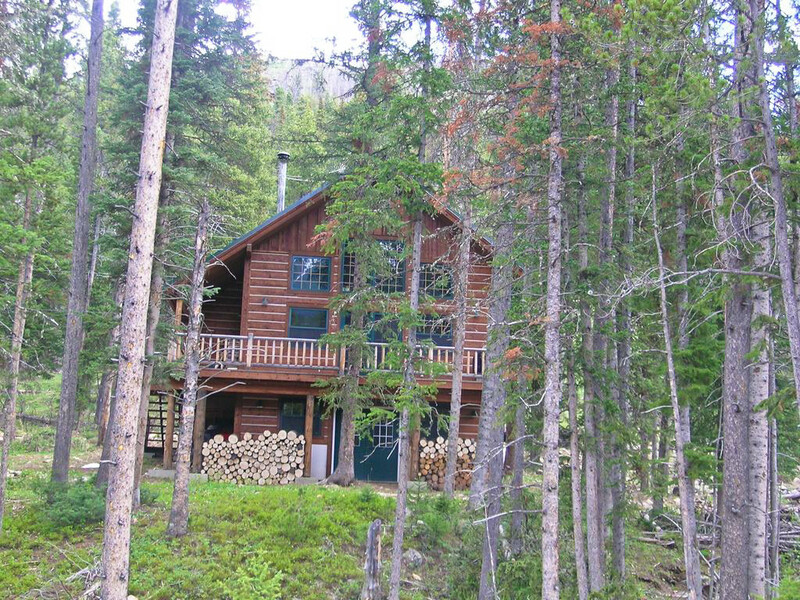 And this is definitely our favorite of all the cabins in Yellowstone. Go get it. Now. 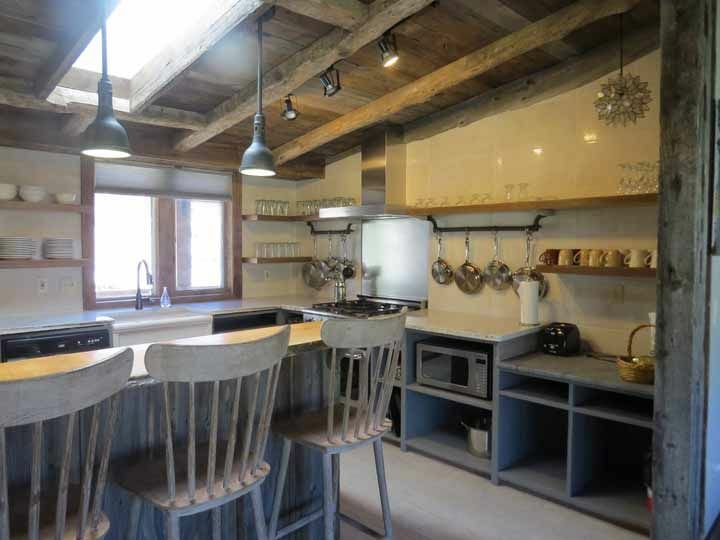 Stunning location for this rustic little cabin in Silver Gate. 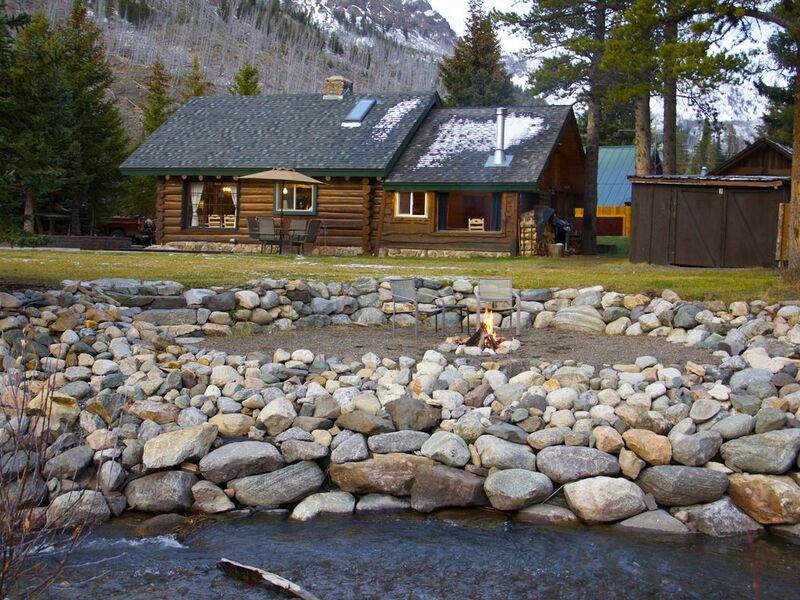 You get to have your own creek frontage with magnificent mountain views. The cabin is perfect for couples as it has just one room containing the bed and kitchenette and a separate bathroom. 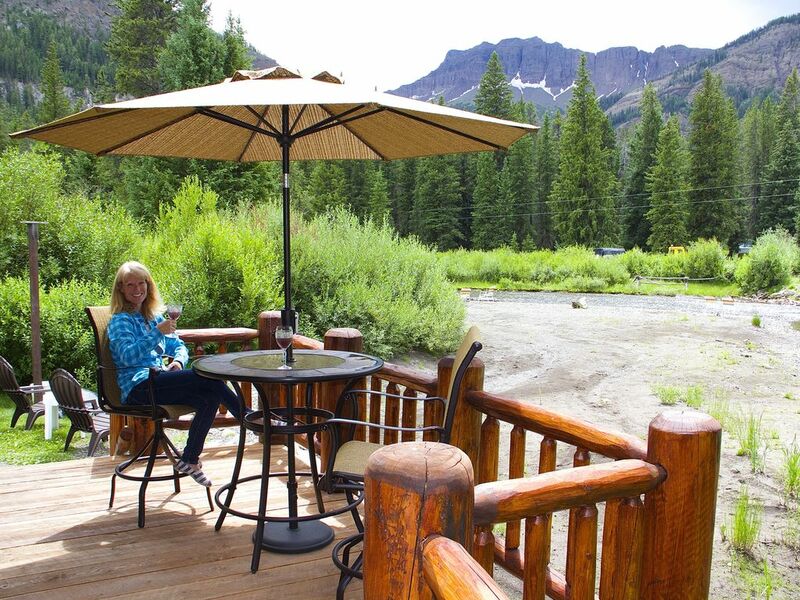 Who needs a big cabin when you have this wonderful deck? Silver Gate is all about that creek location! 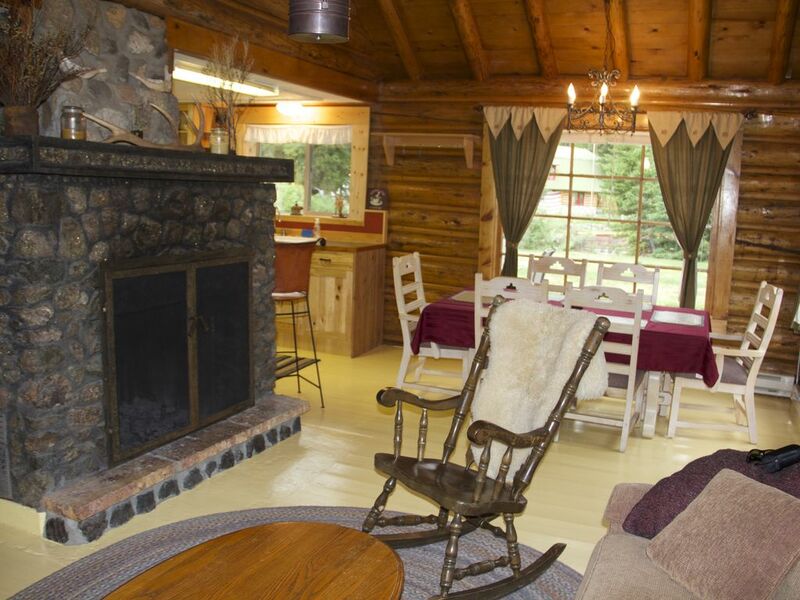 This vintage one-bedroom log home has everything that Silver Gate has to offer. 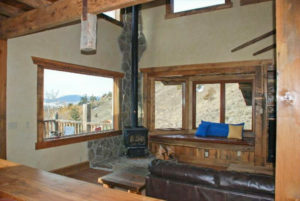 Creek side location, cozy wood burning stove, and incredible views. 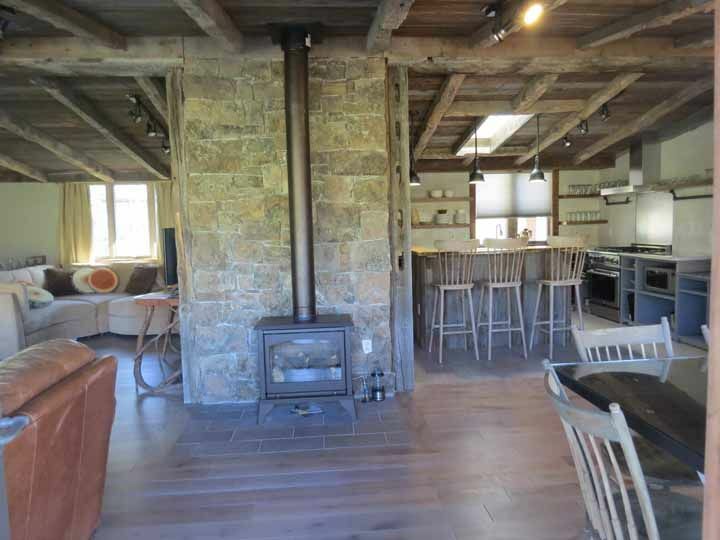 And don’t forget the beautiful fireplace. Can you see yourself reading a book by the creek? 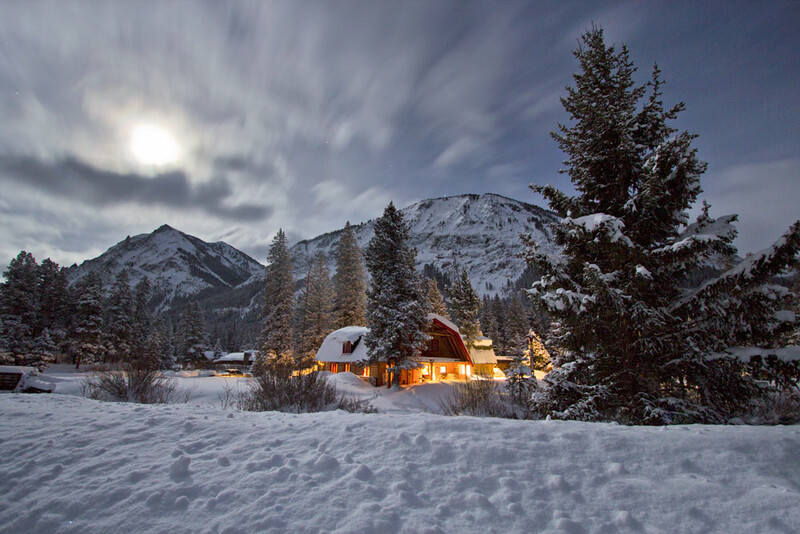 Cooke City (Montana) is only three miles east of Silver Gate and four miles from the Northeast Yellowstone entrance. This is where the road ends in the winter making it a haven for snowmobile adventure enthusiasts. 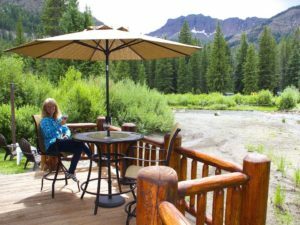 In the summer, this little town is buzzing with people driving through the Beartooth Highway (open only during summer months), which is considered by many to be one of the most scenic drives in the US. 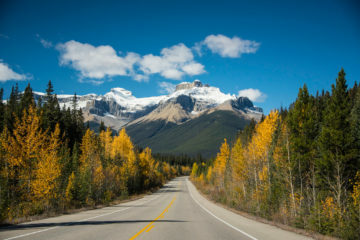 We agree, and if you are visiting during summer, consider driving into the park through the Beartooth Highway for some of the most spectacular alpine views in the country. 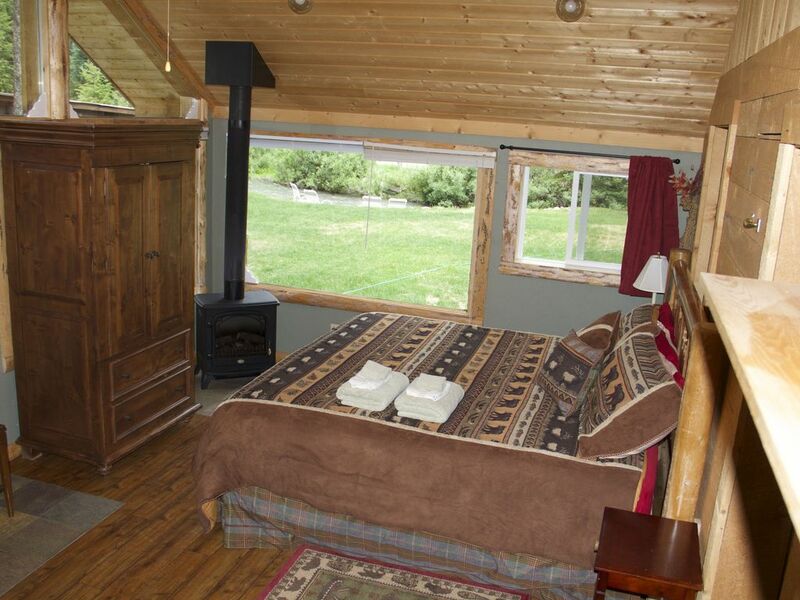 This is the only Cooke City cabin rental that I really like. 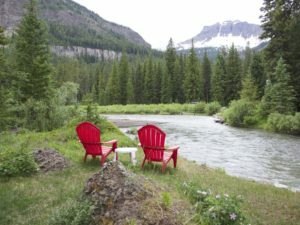 I love the location, surrounded by trees, and it is still within walking distance from the shops and restaurants in Cooke City. 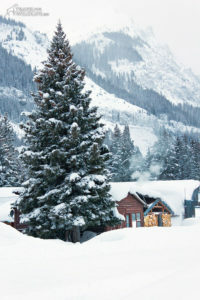 Don’t leave Cooke City without visiting the Bearclaw Bakery. This is one of our favorite breakfast places in the world. I am not exaggerating here. The cabin is suited for a maximum of five people, as it has one bedroom and one loft (turned into a bedroom for three). 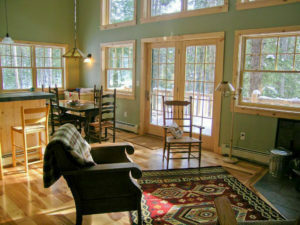 The immaculate interior is cozy and inviting. 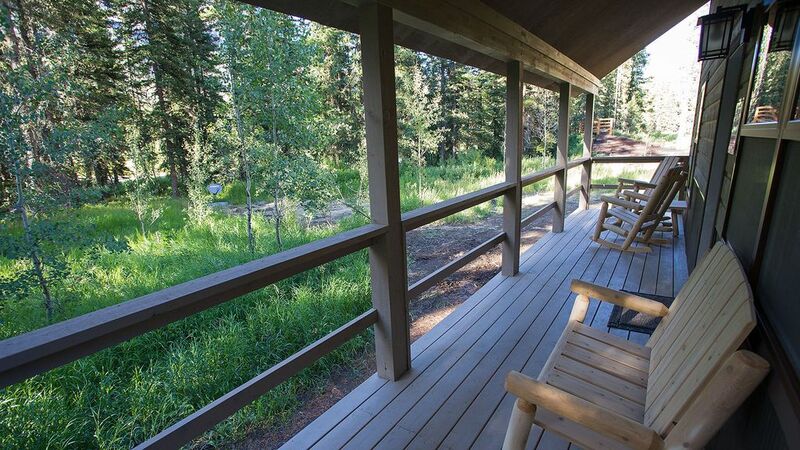 That deck is perfect for watching pine martens scrambling around in the trees! You are in the middle of the woods! 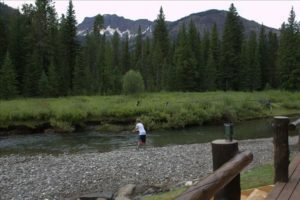 The small town of Gardiner sits by the Yellowstone North Gate (the only park gate open to cars during winter) and overlooking the Yellowstone river. 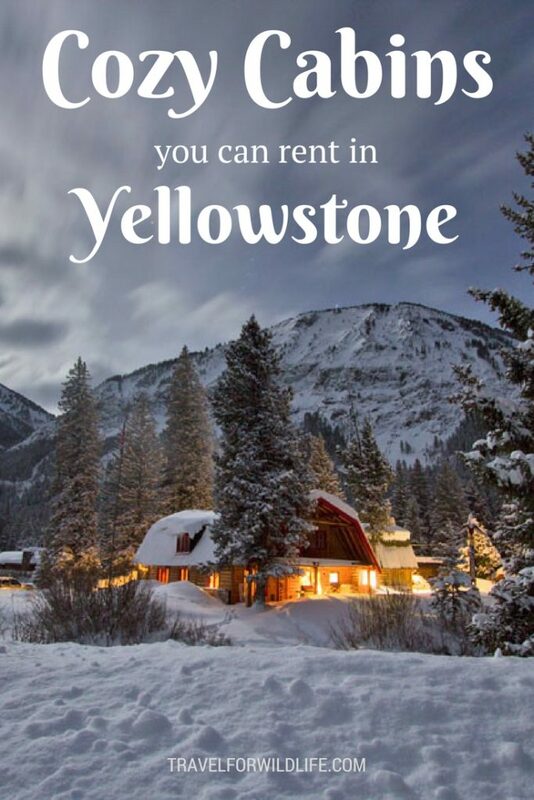 It is the base and starting point of many Yellowstone park tours, and is a good place to stay near Yellowstone in the winter if you don’t want to find yourself snowed-in during a crazy storm. 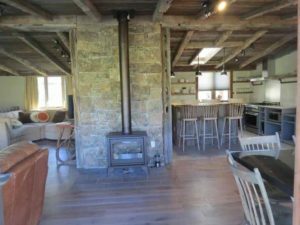 This cabin situated on the outskirts of Gardiner offers a rustic look outside, with a modern ambience inside. 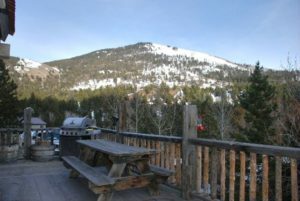 It is five miles from the town of Gardiner, but it is situated so that you can see the steam from Mammoth Hot Springs from your deck. 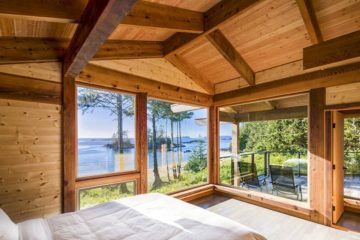 Imagine the views! 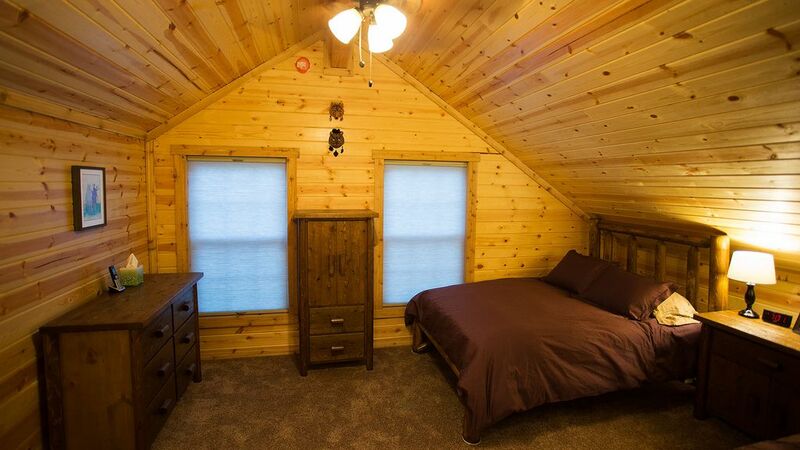 Four bedrooms and three bathrooms complete this great cabin. 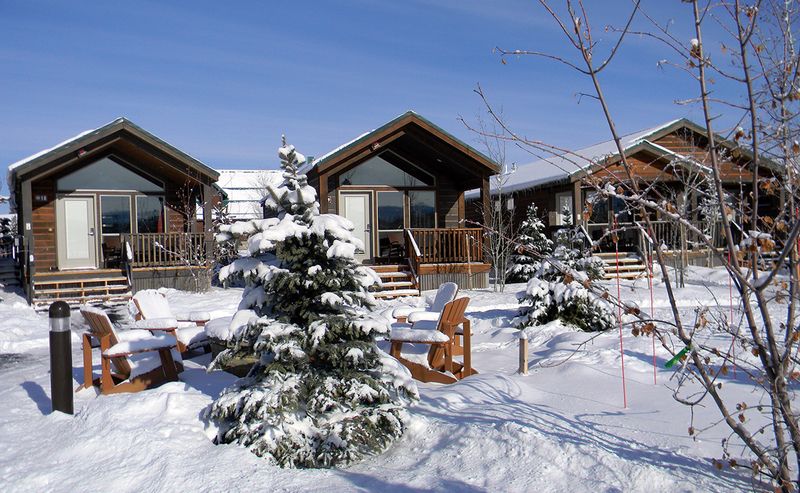 If you visit during winter you can snowshoe or cross country ski from the cabin. If you are looking for rustic yet elegant cabin rental with incredible river views, this is the one for you. 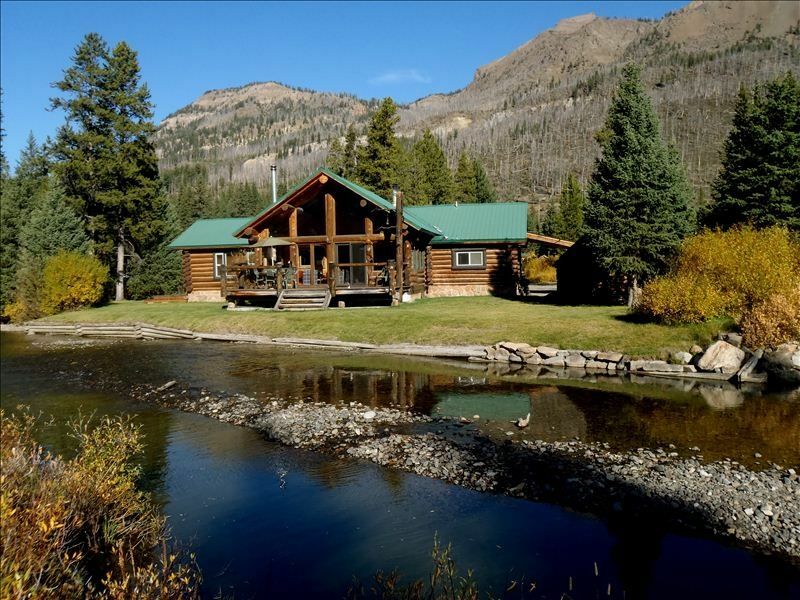 This is definitely one of the most incredible Yellowstone cabins we found. 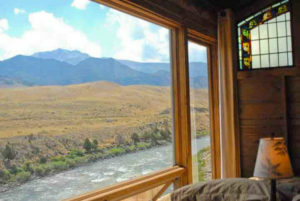 Sitting on the banks of the Yellowstone River, this five-bedroom cabin is actually an art gallery that closes when guests are staying. Decorated with antiques (the dining room table is an antique Yellowstone luggage cart, check it out on the photo below), art, and an incredible gourmet kitchen, this is the place for a special reunion. 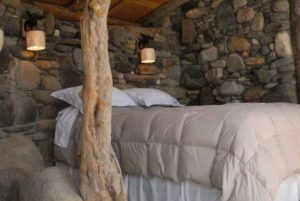 On top of all that, you can experience some incredible glamping by the Yellowstone River in the purpose-built outdoor bedroom. Sign me up! Don’t feel like going shopping? 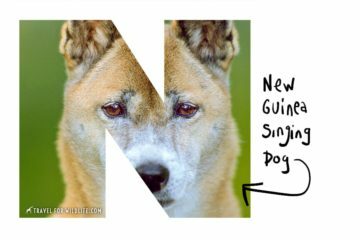 Don’t worry, the owners will happily arrange some catering for you. 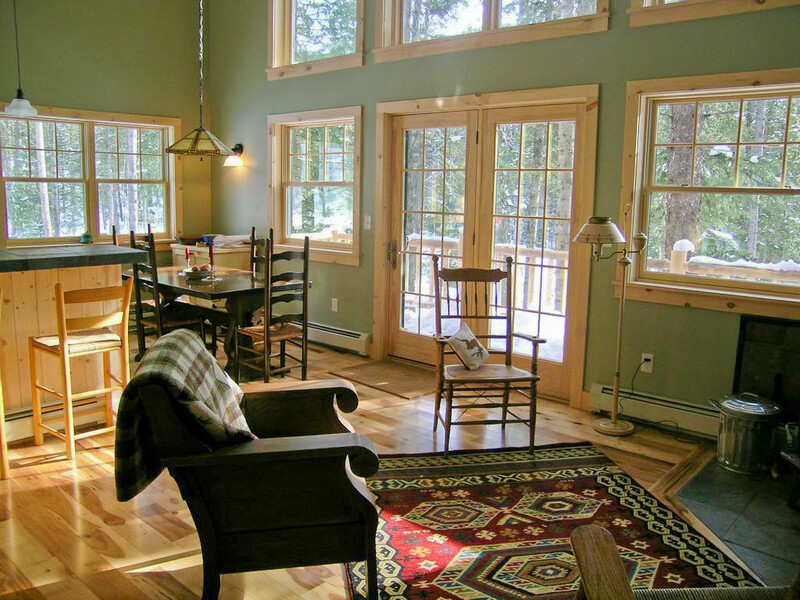 This recently-renovated and sunny cabin in Gardiner is perfect for big groups with five bedrooms that can accommodate up to 13 people. Perched on top of the Yellowstone river and overlooking the beautiful Yellowstone National Park, the owners have done an incredible job remodeling this spacious cabin. Granite counter tops, immaculate and modern bathrooms (five of them! ), hardwood flooring, and even a game room. 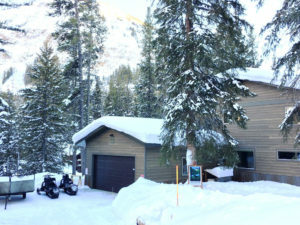 The cabin is centrally located in Gardiner. You can walk to all the shops, restaurants, and coffee shops. This is the ideal place to stay in Gardiner, if you ask me. West Yellowstone is a little town on the west side of Yellowstone. This is the perfect location if you want to go on a Yellowstone snowcoach tour in winter as most of these tours start in West Yellowstone. Remember that this gate is closed to cars during winter, but tour operators are allowed in. 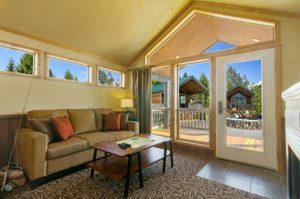 There are plenty of cabins in West Yellowstone to choose from. 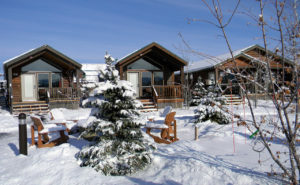 The Explorer Cabins at Yellowstone is a 50 cabin property. 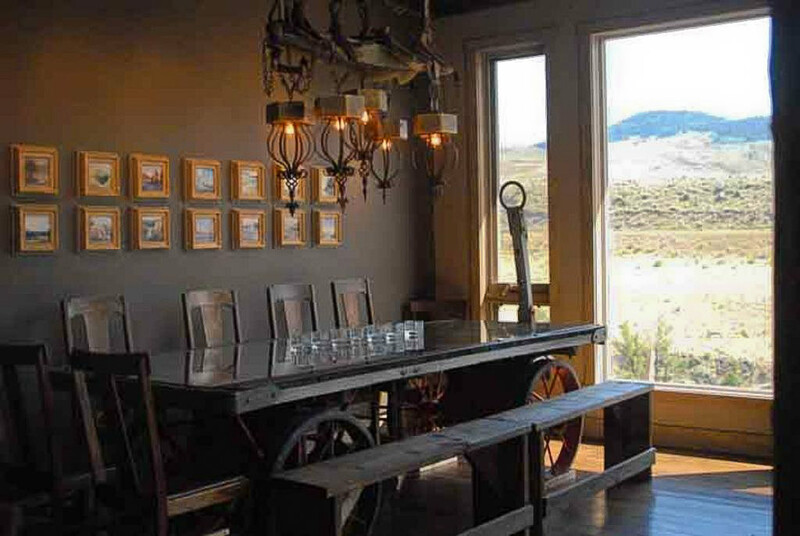 This is the perfect setting for a big family reunion when everyone needs their own space. 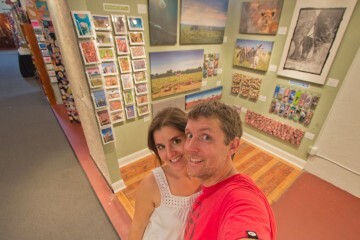 Also ideal for couples looking for a West Yellowstone adventure. 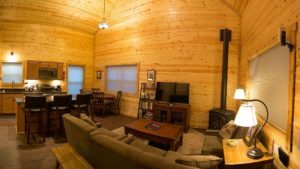 Each of these cabins has their own front porch with seating area, and there’s also a communal fire pit where you can cook some S’mores (no regular grilling allowed I’m afraid). 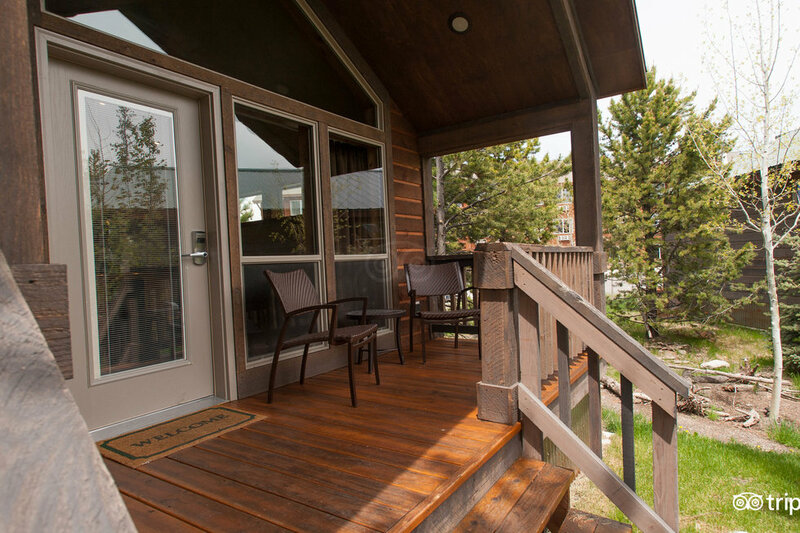 The Explorer Cabins at Yellowstone are ideally located, only a stone’s throw away from all the adventure that West Yellowstone has to offer. 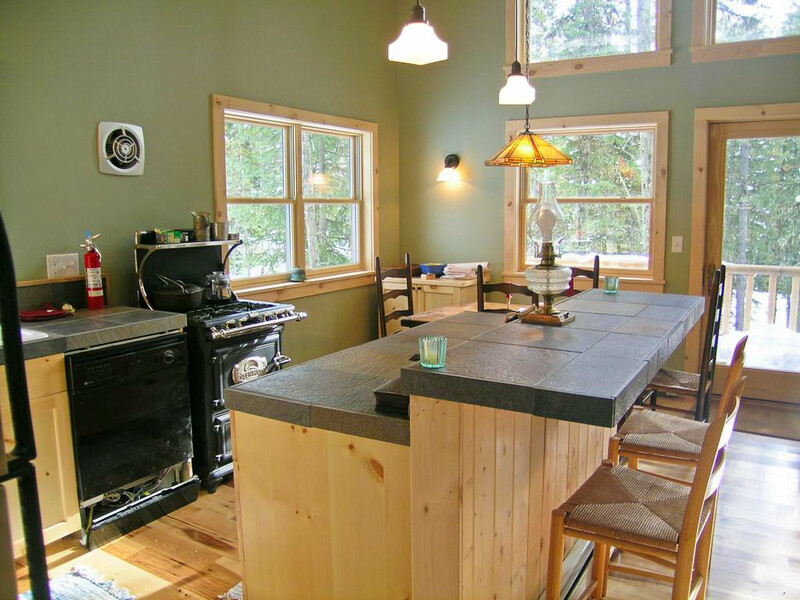 This private cabin is only a fifteen minute drive from the town of West Yellowstone. 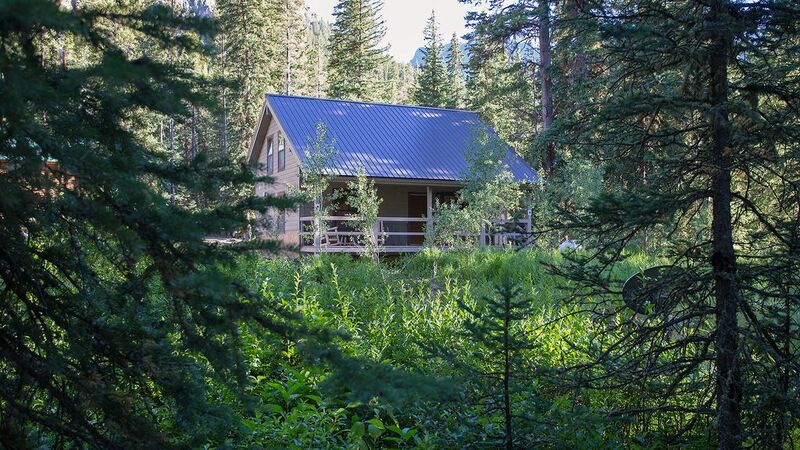 Surrounded by aspen and fir trees, this cabin is especially suited for the fishing enthusiast complete with wader hooks and a rod rack. 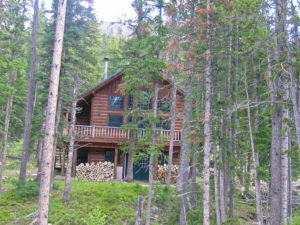 The cabin is accessible through a dirt road and sits at the base of the mountains that form the Continental Divide. 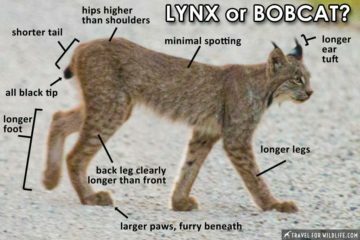 Surrounded by Forest Service land, it is not uncommon to have all kinds of wildlife wandering through these woods. Wildlife watching from your cabin! 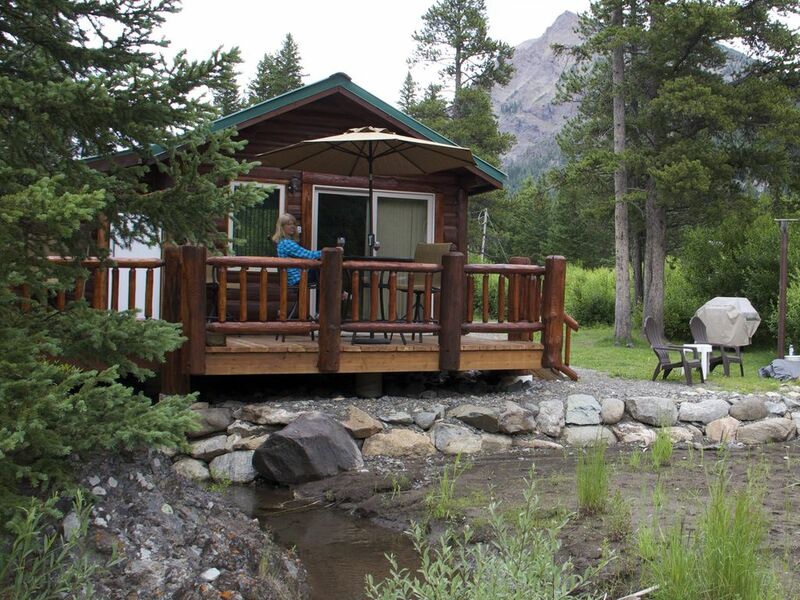 This is one of the Yellowstone cabins that are perfect for small families. 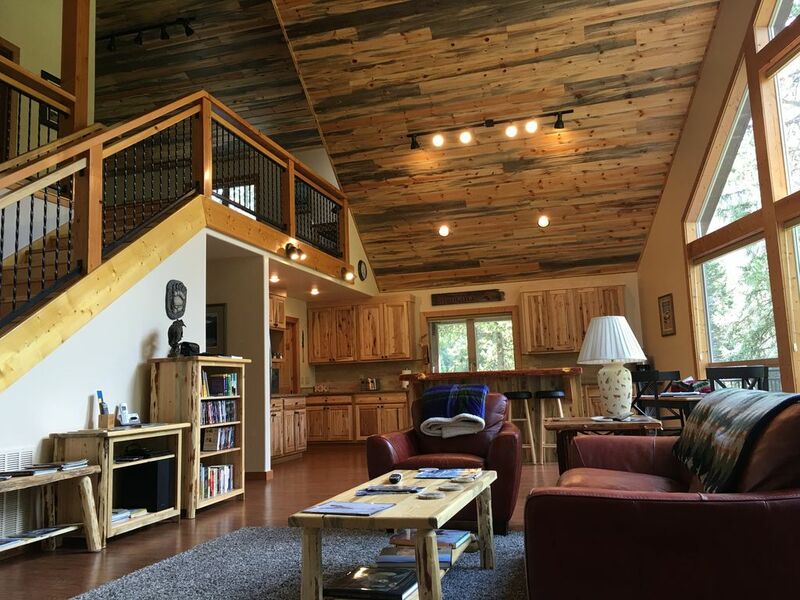 The kids have a fun place to sleep in the loft and you can watch them play safely in the open woods while you grill dinner on the inviting deck. 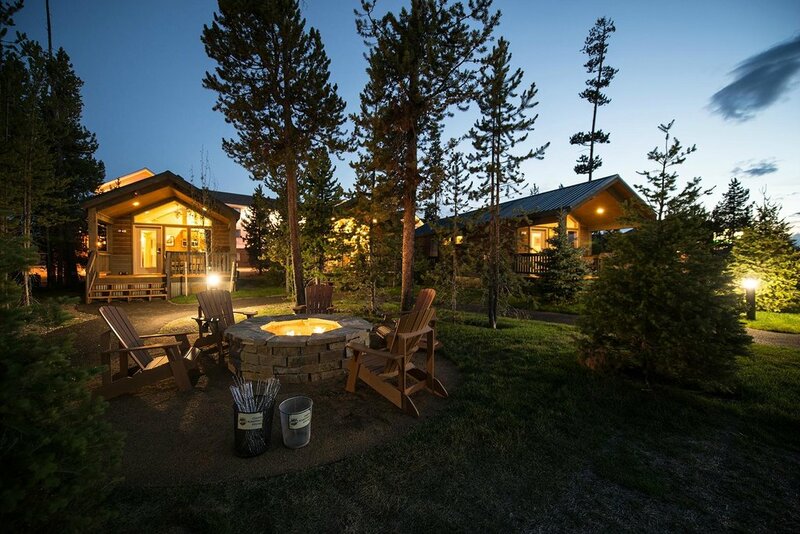 What do you think of our list of Yellowstone cabins? Pretty sweet, huh? We hope we’ve inspired you to rent a cabin next time you visit Yellowstone. If you are visiting the Great Smokies National Park, check out our article about Gatlinburg cabins you can rent. 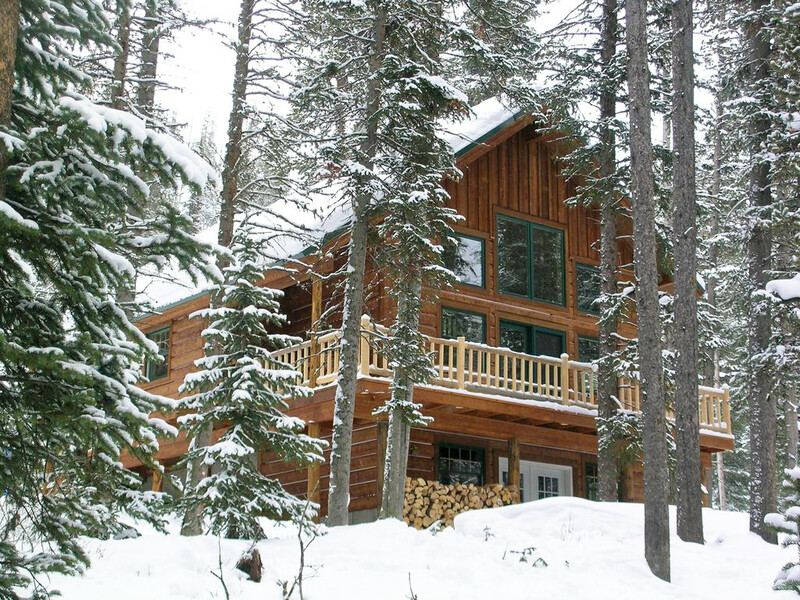 If you visit Banff National Park, check out these amazing Banff cabins we found. One of them even has an indoor pool. I so want to go there! 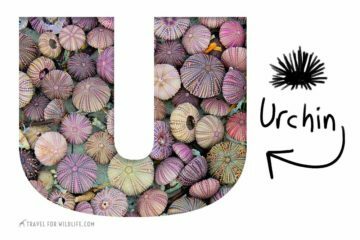 If you like this article, PIN IT! Previous ArticleCan Tourists Save the Hawksbill Sea Turtle? 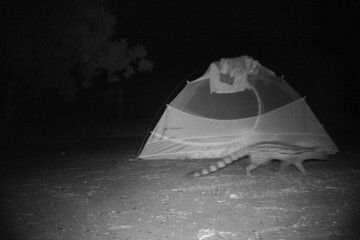 What’s Outside Your Tent While You Sleep in Kruger Park? 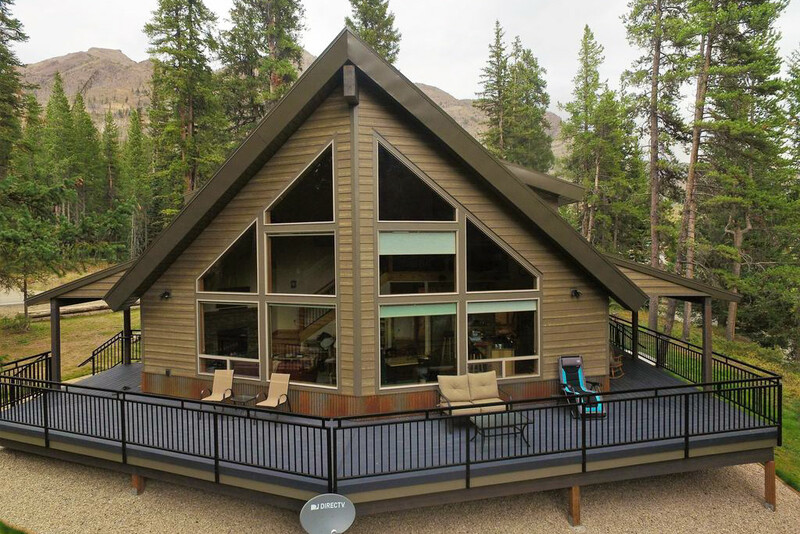 The Ursa Cabin at Silver Willows looks absolutely stunning! Yellowstone is a must-see in anyone’s travel bucket list.